The Intergovernmental Panel on Climate Change (IPCC), the UN body for assessing the science related to climate change, is celebrating its 30th anniversary in 2018. This webpage contains communication materials to help raise awareness about the work, activities, and findings of the IPCC and support the efforts of stakeholders willing to organize events dedicated to the IPCC during this year of celebrations. The webpage contains materials such as factsheets, brochures, and videos. The IPCC was established by the United Nations Environment Programme (UNEP) and the World Meteorological Organization (WMO) in 1988 to provide the world with a clear scientific view on the current state of knowledge in climate change and its potential environmental and socio-economic impacts. Since its inception the IPCC has produced five comprehensive Assessment Reports and several Special Reports on specific topics. The IPCC has also produced Methodology Reports, which provide practical guidelines on the preparation of greenhouse gas inventories for the inventory reporting requirements of Parties to the United Nations Framework Convention on Climate Change (UNFCCC). The Fifth Assessment Report (AR5) is the most comprehensive assessment of scientific knowledge on climate change since 2007 when the Fourth Assessment Report (AR4) was released. It was released in four parts between September 2013 and November 2014. AR5 is made up of the full reports prepared by theWorking Groups (I, II and III) and their Summaries for Policymakers as well as the Synthesis Report. Climate Change 2014: Mitigation of Climate Change is the third part of the Fifth Assessment Report (AR5) of the Intergovernmental Panel on Climate Change (IPCC)—Climate Change 2013 / 2014—and was prepared by its Working Group III. The volume provides a comprehensive and transparent assessment of relevant options for mitigating climate change through limiting or preventing greenhouse gas (GHG) emissions, as well as activities that reduce their concentrations in the atmosphere. Field, C.B. & Barros, V.R. et al. (2014). Climate change 2014: Impacts, adaptation, and vulnerability. Working group II contribution to the fifth assessment report of the Intergovernmental Panel on Climate Change. New York, NY: Cambridge University Press. Compared to past WGII reports, the WGII AR5 assesses a substantially larger knowledge base of relevant scientific, technical, and socioeconomic literature. Increased literature has facilitated comprehensive assessment across a broader set of topics and sectors, with expanded coverage of human systems, adaptation, and the ocean. Section A characterizes observed impacts, vulnerability and exposure, and adaptive responses to date. Section B examines future risks and potential benefits. Section C considers principles for effective adaptation and the broader interactions among adaptation, mitigation, and sustainable development. Pachauri, R.K. & Meyer, L.A. (eds.). (2014). 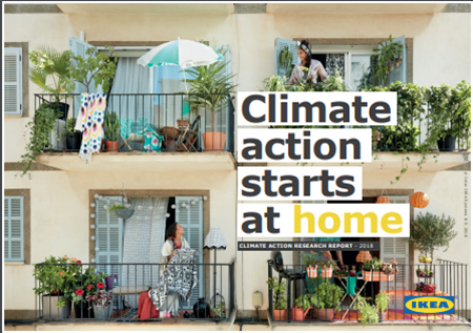 Climate Change 2014: Synthesis Report. Contribution of Working Groups I, II and III to the Fifth Assessment Report of the Intergovernmental Panel on Climate Change. Geneva, Switzerland: Intergovernmental Panel on Climate Change. Stocker, T.F. & Qin, D. et al., (2013). Climate change 2013: The physical science basis. Working group I contribution to the fifth assessment report of the Intergovernmental Panel on Climate Change. New York, NY: Cambridge University Press. Climate Change 2013: The Physical Science Basis” presents clear and robust conclusions in a global assessment of climate change science— not the least of which is that the science now shows with 95 percent certainty that human activity is the dominant cause of observed warming since the mid-20th century. The report confirms that warming in the climate system is unequivocal, with many of the observed changes unprecedented over decades to millennia: warming of the atmosphere and the ocean, diminishing snow and ice, rising sea levels and increasing concentrations of greenhouse gases. Each of the last three decades has been successively warmer at the Earth’s surface than any preceding decade since 1850.